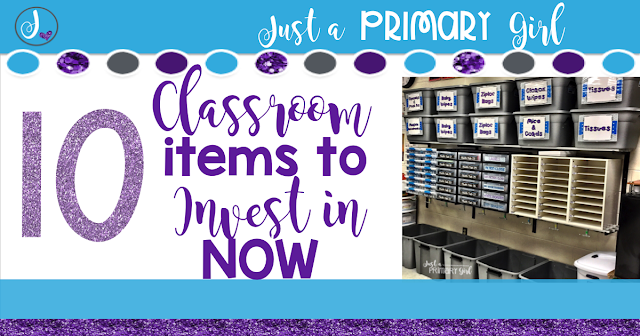 We love to buy stuff for our classrooms. It's in our blood. We just can't help it. I have ever marker, pen, target spot item you can think of. There may be some stuff you haven't thought to buy. You may be a new teacher and don't know what to buy. 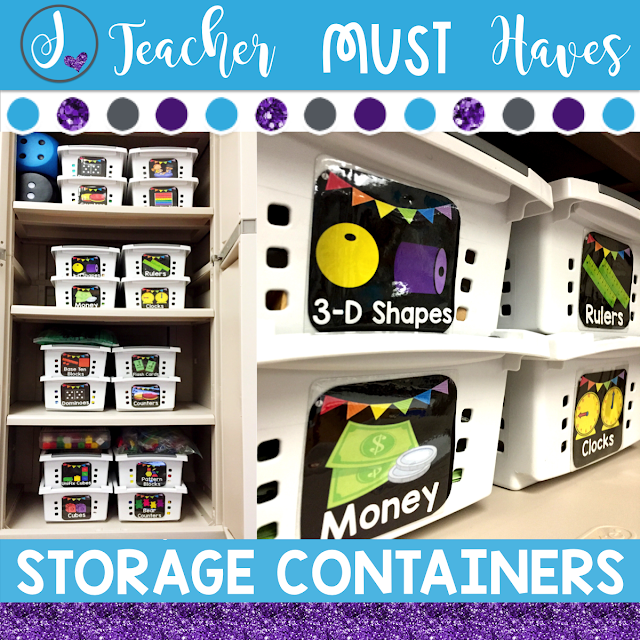 You may be student teaching and want to buy things as you are in school. Here is the thing: YOU'RE EXCITED. 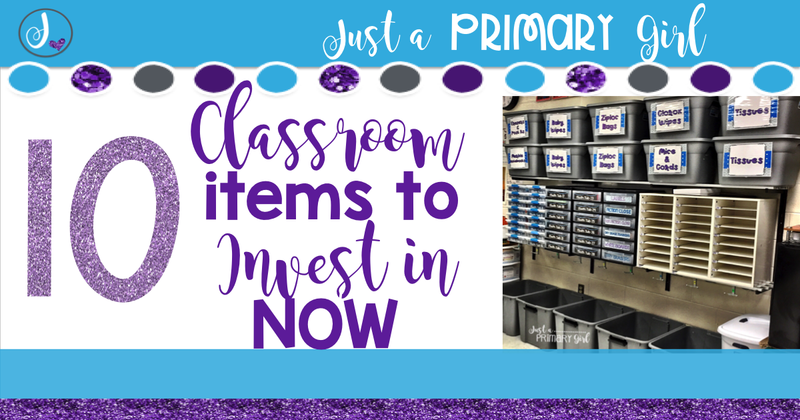 You are GOING to spend money on your classroom (at least I bet you are if you are reading this). If you are going to spend your hard earned money - I can at least help you spend it wisely! Years ago, more years than I care to admit - I started buying. ALL. THE. THINGS. for my classroom. I KNEW I would teach third grade. (that is what grade I did my student teaching in) I thought third grade is it. I will NEVER teach a different grade. So during student teaching, I bought every single chapter book I could find. I went to garage sales, found other teachers giving away books etc. Guess what? I taught kindergarten the next year. Then first grade. All those books sat in a bin until two years ago, when I gave them away to a new fourth grade teacher. What a waste of time and money. Here is my advice on the top 10 things to invest in that will more than pay for themselves through your teaching career. I try to only buy things with my money, that no matter what grade I'm moved to - I can use it and it won't go into storage. The far left blue are lock and latch boxes. You can find them here. The middle are six drawer bins. You can find them here. The end is a mailbox is from here. Now, I know this is expensive, but it is solid wood and will last forever! I also invested in these white containers. They were a dollar each back then. I think the people of sterilite have caught on that teachers like them because they increased the price a bit but so worth it. They have a flippable lip to stack them SUPER easy. Find those here. I bought 30 of them. It has been 10 years and they still look like new. Not ONE has broke. Last year, I tossed them into my dishwasher and they look BRAND NEW! 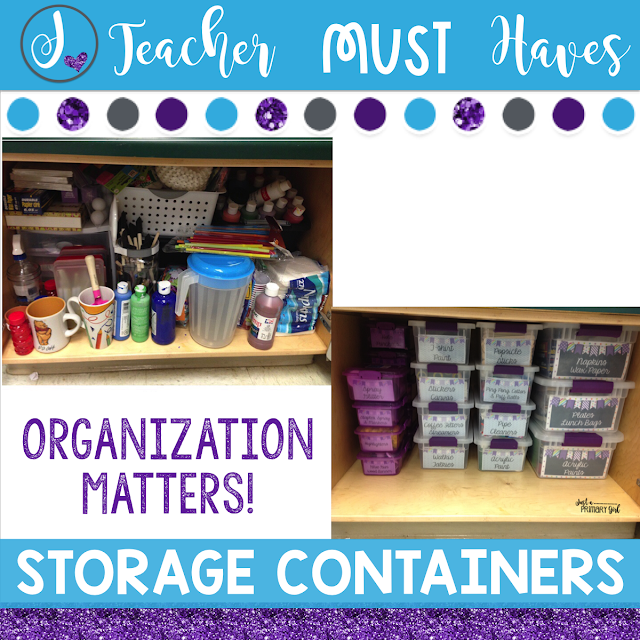 If I change themes - I pop on a new themed label rather than tossing containers for new ones. You can find these labels by clicking the picture or here. 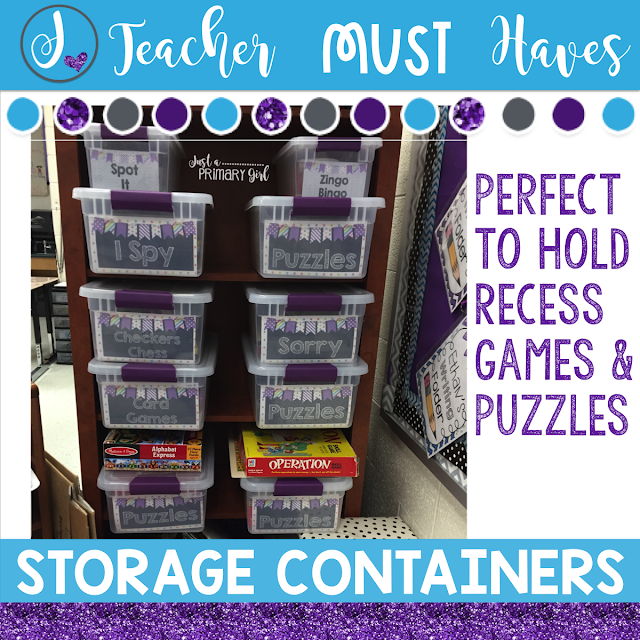 I also use them to house recess supplies! Find the labels here. 2. 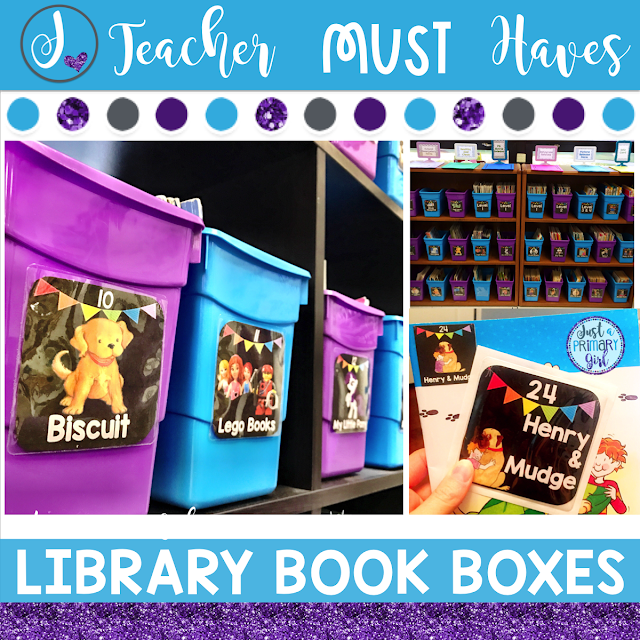 You will ALWAYS have a library as a primary classroom teacher, so spend the money on QUALITY bins. You can find these here from Steps to Literacy. You can buy at dollar tree, but this is not going to be a long term use. If you have tough kiddos, a lot will break. I invested in both and my dollar tree ones have been long gone. But, these ones have stood the test of time. 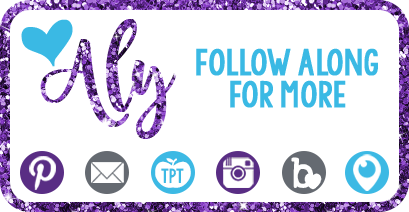 You can find my editable labels here. 3. 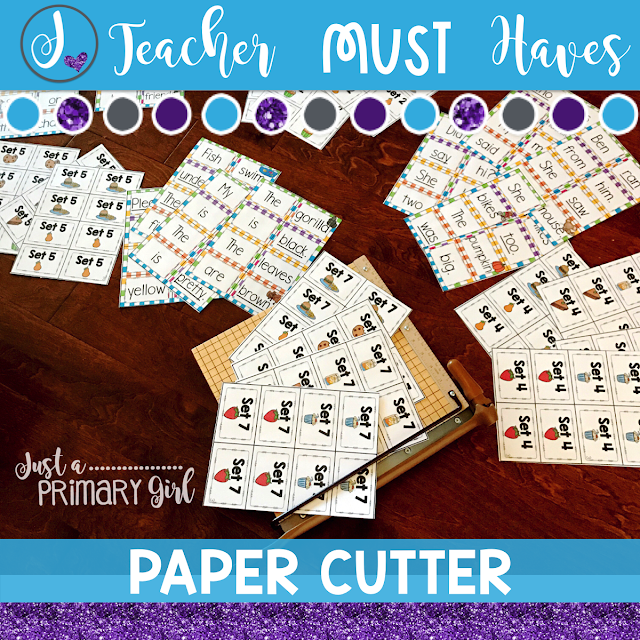 A paper cutter. A good one - you can find this one here. Yes, your school likely has one - but when was the blade last changed? Did you know that - they need changed yearly due to all of the use? If you buy your own, you can go a good 5-7 years without needing a change. Our cutter is a mile away and I want to cut when I want to cut. I have one at school and one at home. You can find this sight word game here. I have two at school and two at home. You never know if one will break and then you are stuck. Plus, I send one home on the weekends for parents to help me cut out center stuff. See the volunteer forms that I use with it here. 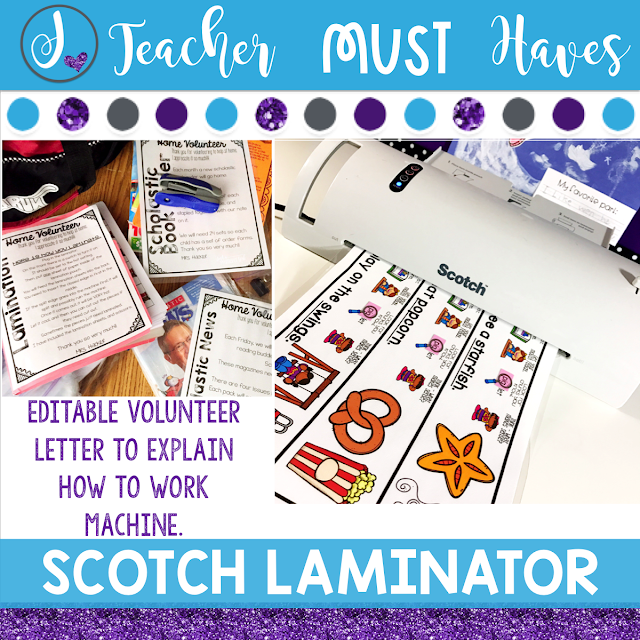 I also use lamination sheets from here. I use the thinner ones now because I love using this cardstock - especially for printing center materials. 5. 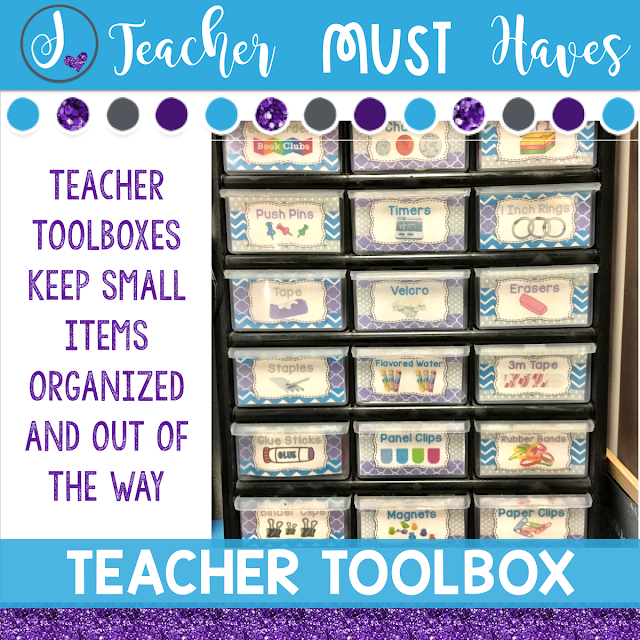 A teacher tool box. I KNOW, I KNOW - You don't think you will use it. I don't know what I would do without mine - seriously. I use it DAILY. My most used by me: velcro. Most used by my co-workers - change. hahaha I got it here. 6. 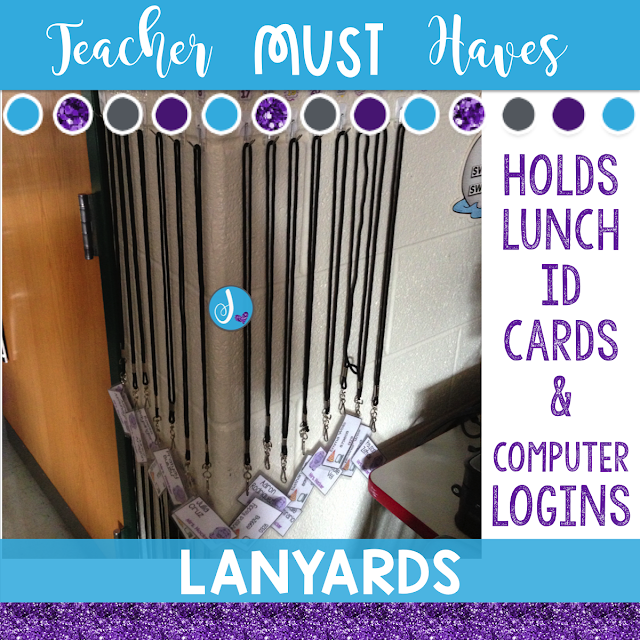 Lanyards - It may seem like something silly on this list of big items, but these are my FAVORITE! I refuse to tie shoes in my classroom, and I will not untangle yarn knots!! I only threw away two or three after five years. I used yarn for years and it made me mental. You can easily clean the lanyards year to year by hanging them in oxyclean for a bit and then soak in water and air dry. I got the lanyards here. You can find the editable lanyard tags by clicking the picture or here. 7. 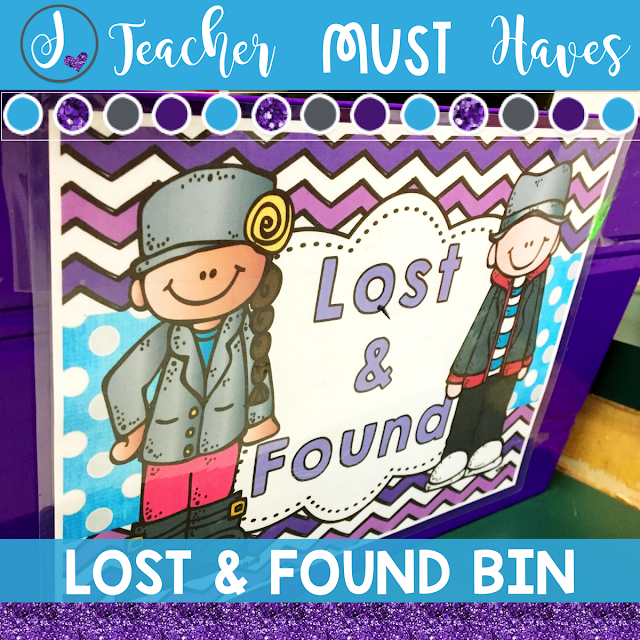 A Lost and Found Bin - this has seriously saved my sanity! If one more student interrupted me with a staple or glue cap, I was going to jump out a window. This bin is big. Like can hold 2 back packs big. I have had students put in jackets, lids, pencils, crayons - you name it. My students know not to bug me if they find something. If they loose something, they go look in the bin before they talk to me about it. At the end of the week, one kid empties it. You can find the label for this here. I got the bin from Big Lots for $7. 8. 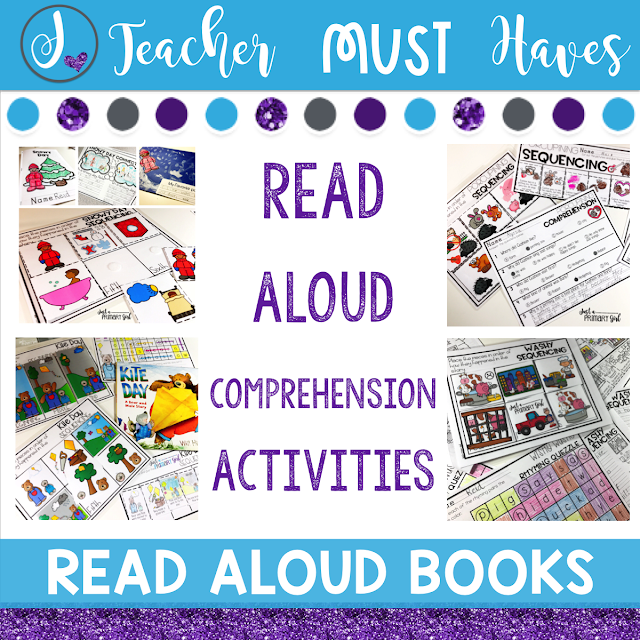 Read Aloud books. I don't care if you are a first grade teacher or a fifth grade teacher - kids LOVE read aloud books. I get more excited than my students to hear a new one, so buy them, but don't get too crazy. (Not yet anyway) I tried to buy a couple seasonal ones, a few for the start of the year. You never know what grade you will be in, but for the most part - read aloud books will last you forever! I buy hardcover used books from Amazon. Here is where you can find the comprehension companions to go with the stories. 9. 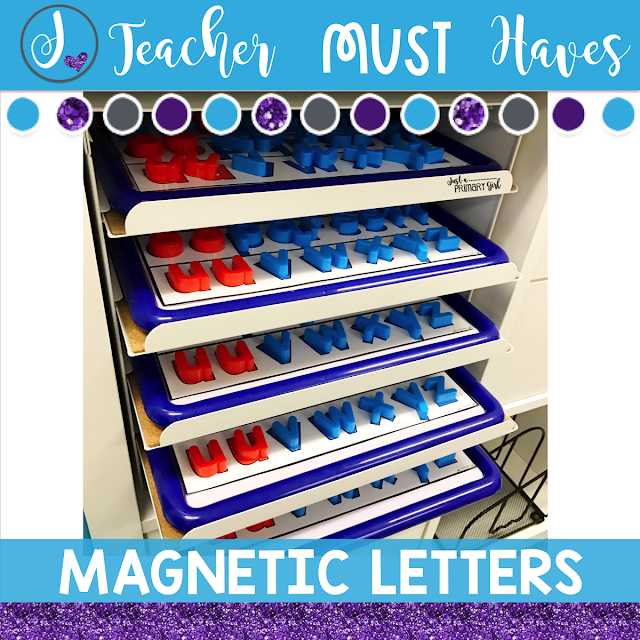 Magnetic Letters and trays - this is worth the investment in your classroom if you are a primary teacher! You can read all about where I bought my letters, and how I use them here or click below. 10. Student Mailbox Center - this is another thing I wish I had purchased from year one. 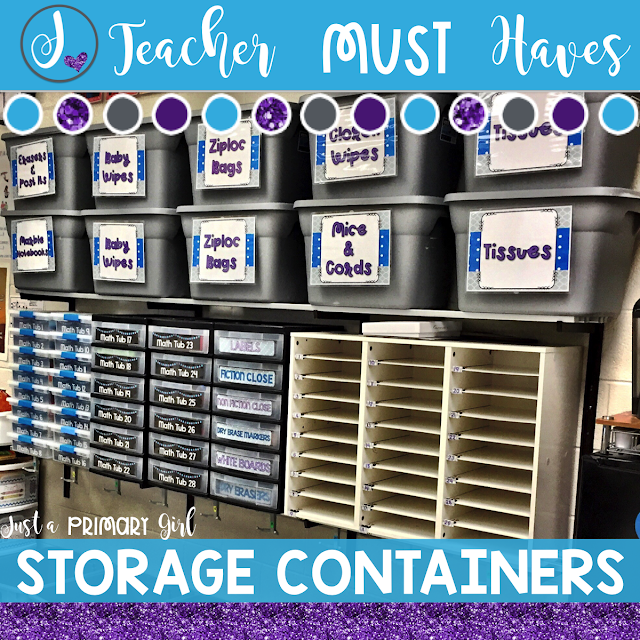 This isn't something you will move often so it will stay sturdy and your students will be organized. 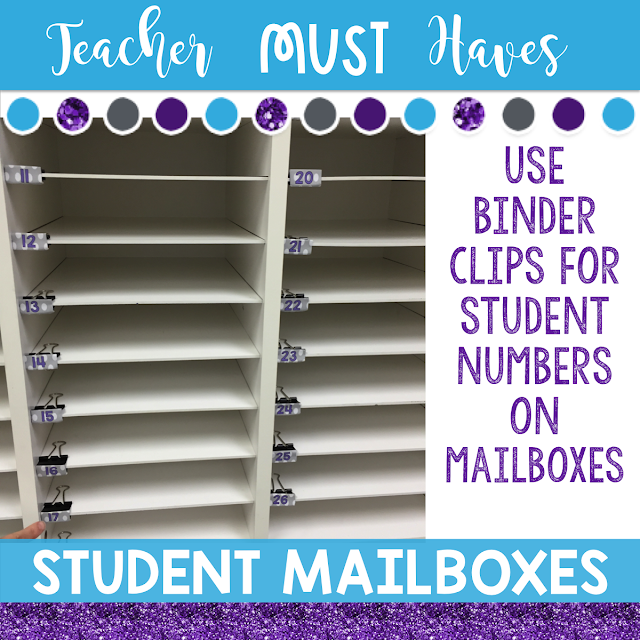 You can find the 1' binder clip labels here. I know not all teachers have the money to buy these things all at once. You can save where you can, ask for donations, write a donors choose proposal or sell some of the things you no longer use. Your area may have a teachers facebook sell site and you could be buying new things in no time! WOW!!!! This is wonderful! Thank you for taking the time to post these ideas and where you can buy/find them! I love your webpage!! !